Croatian Charter company, Master Yachting has been operating for 20 years. From the very beginning, they have been trusted partner for YachtCharter, YachtInvest and YachtSales offering their clients complete support in all the fields. We are more than satisfied (actually impressed!) with how much MMK Booking Manager System has reduced the number of documents on daily basis by simplifying the procedures of booking and invoicing. The system is very efficient and as such guarantees better administrative systematization and optimization of processes. Easy to handle. User-friendly. Great marketing tools. Real-time availability is the highlight of the System as we are visible to a large number of agencies and individual clients worldwide. Last but not least is the superior support permanently accessible and very friendly. Master Yachting offers yacht charters along the Adriatic coast on their 43 Yachts. On boats moored in Sukošan, D-Marin Dalmacija, they offer their guests a full-immersion experience of sail, sea and sun. Being located in the center of this most beautiful and exciting coastline opens opportunities to Master Yachting clients to explore one of the best cruising areas in the world. It is an excellent spot to start trips to the islands in the Kornati National Park as well as the southern Adriatic. Places such as Šibenik, Skradin, Primošten, Trogir, Split, Brač, Hvar, Vis, Korčula, Mljet, and Dubrovnik can be attained easily in one or two-week cruises. Master Yachting impressive fleet consists of 43 yachts that includes: a wide range of Monohulls from 35 to 54 feet, all models of brand new Lagoon Catamarans from 39 to 52 feet, one Privilege 465 and few Motor Yachts. The full range of the fleet ensures them to offer the right boat to match client expectations, experience, and budget for a perfect sailing holiday. Their experienced, professional and motivated Team is on disposal for their clients throughout their charter for any service, support or information they might need. During the season their technical team is available 24/7, ready to help the customers with any unexpected situations during their sailing trip. Along with one of the most prestigious rental yachts, Master Yachting, completes their customer offer by providing their customers with YachtInvest and YachtSales support. YachtInvest is the best way to own the yacht at small cost. A big part of the purchase price and maintenance cost are covered by the rental of the Yacht. Master Yachting takes care of berth in Marina, maintenance, surveillance, cleaning and finally Yacht Charter Management. This way the return on client investment starts immediately with the rental of their Yacht and Master Yachting provides them with full support. To help customers when it comes to purchasing the boat, Master Yachting advises clients and helps them with the selection of the yachts, equipment, purchase and finally financing of their Yacht. Aftersales department is always on disposal in the whole process after purchase simplifying the complete administrative procedure. Master Yachting joined MMK System in 2013 to speed up their daily business tasks by sending automatic Offers, Booking Confirmations, Boarding Passes, Crew Lists and to present their complete offer on largest distribution network through Booking Manager Portal. From the very beginning, Master Yachting was aware of real-time online availability importance as well so they decided to show it directly on their website through MMK user-friendly search engines. Master Yachting recognized MMK System as the best possible solution to simplify their work when it comes to all kinds of statistic reports, lower overall costs by using powerful Revenue Planning tool and guarantee better service for their clients. 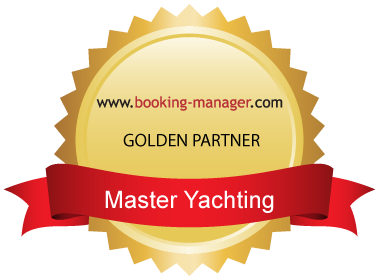 With this business decision Master Yachting became MMK Golden Partner. Among all the benefits MMK helped them to develop an interactive website directly connected to Booking Manager Application with a goal to offer their clients possibility of direct, real-time boat reservation in few clicks whether clients are looking to book standard charter weeks or just checking last minute availability. Booking Manager is a world leading yacht charter software and online booking solution for charter operators and agencies. It is currently used to fully manage more than 520 charter operators with 8000 yachts. Users of the Booking Manager system save significant amounts of time and money by automating their common office tasks.